I have no idea what to say about that 7-game series the Golden State Warriors just finished over the Houston Rockets. A 101-92 victory and another incredible 3rd quarter to finish off one of the better designed and talented teams they will ever play. It didn’t take everything from the Warriors to win. Not like they had to muster against the 2016 Oklahoma City Thunder. They had more than enough gas, unlike the 2016 series against the Cleveland Cavaliers. 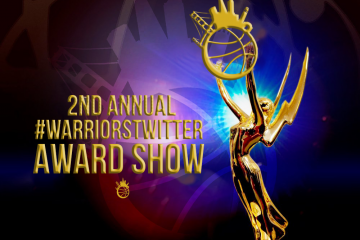 This one was not about what the Warriors did well, but what they had to muster up at their breaking point to survive by the skin of their teeth. The Warriors didn’t look like the defending champions for more than a quarter at a time after Game 1. It was the resolve and mental fortitude after halftime that will become their signature moments in 2018. Third quarters. Nobody knows why the Warriors take 24 minutes, even in the most important game of the season, to show up. But over and over again, Stephen Curry, Kevin Durant, and Steve Kerr struggled with each other for entire halves, only to pull themselves back together, piecing together the missing segments to a puzzle figured out many times before. They went down 39-22 in Game 6, then 15 with 5 minutes left in the 2nd quarter Monday night. How is that possible? How is the defense giving up wide open shots and most confusingly, how is an offense so gorgeous and terrifying the last 4 season reduced to such rubble? Is it Steve Kerr’s lack of adjustment from an offense that’s proven mediocre and scheme-able in the postseason? Is it Kevin Durant’s inability to adjust to a tertiary role in big games? 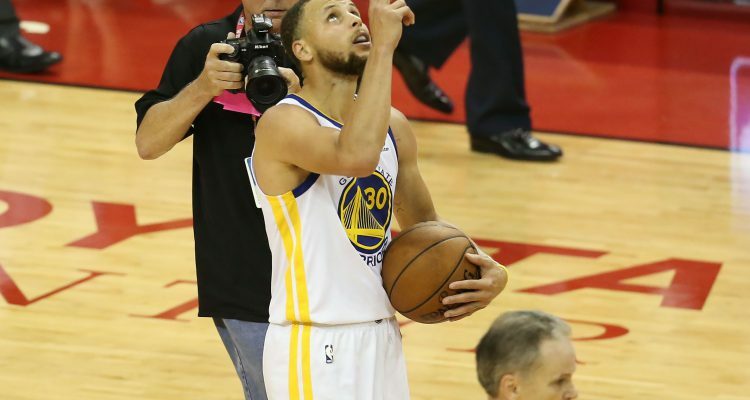 Is it Stephen Curry’s passiveness on the ball? How about Andre Iguodala and Draymond Green’s injuries, one knocking them out for the series and the other rendering Draymond’s long-range shooting an absolute zero? The answer may lie somewhere between the crevices of those questions, or something entirely different behind-the-scenes. But none of it matters anymore. The Golden State Warriors won the series by simply lasting longer. A war of attrition is a cliche, no doubt, but the singular reason the Houston Rockets couldn’t push themselves across. James Harden dribbled more times than the Warriors are allowed to in an entire season and had no legs in any elimination game second halves. Chris Paul gave so much on both ends for over 40 minutes a game and blew a tire. The supporting cast gave in to legs and the brightest of lights, missing 27 straight 3s at one point. And when it mattered most, the two best players on the greatest team ever assembled showed up. Stephen Curry kicked off 11 points in a row in the midst of a 29-9 run to put the Warriors up 74-63. On the other side, KD hit a fading 3 to tie the down, and as is his specialty, closed out the Rockets in crunchtime by iso-ing on the wings and simply nailing a J without jumping over the shorter Rockets defenders. When it was all over, their fingerprints on the game, and now this series, made it look like a crime scene. A dynasty so close to undone in a shocking 7-game defeat, now perseveres for a chance at a back-to-back title, and their third in four seasons. A loss signals the end of an era, perhaps. 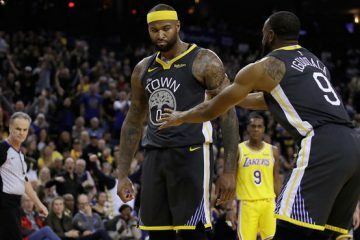 But after the game, the sound from the Warriors felt like relief, and a team understanding it had to go through that to become something greater. Once again, the Warriors escape with 9 lives. They fell for the same traps all superteams fall into, an inability to cohesively play with one another, costing those Miami Heat teams a title, and maybe others much more. These Warriors lose two close games, but get out relatively unscatheted. 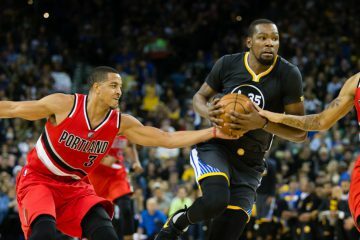 That’s the price for overwhelming talent, and just enough previous championship experience to get Steph reading a bible verse at halftime to dial in, for Draymond to scream at KD without “splintering” the locker room, and Klay Thompson to play through foul trouble without hindering his overall game. At times, it felt like the Warriors losing the series meant the loss of this dynasty. 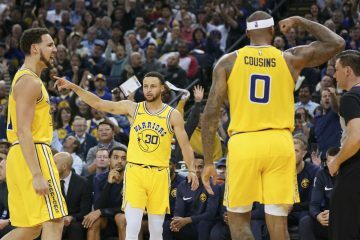 By pouring in just enough effort in what was ultimately a B-performance at best, the Warriors can now extend into the second half of the superteam storyline, the one where they’ve figured themselves out. Remember when LeBron James finally went to the post, created a new age of smallball, and dominated the NBA to 2 straight titles? Here are the Warriors now. They may not have figured out crunchtime, nor their own demons in effort, but they survived. And that’s more than enough to keep this dynasty rolling.